Basic tuna salad recipe to add your personal touches to. Really? 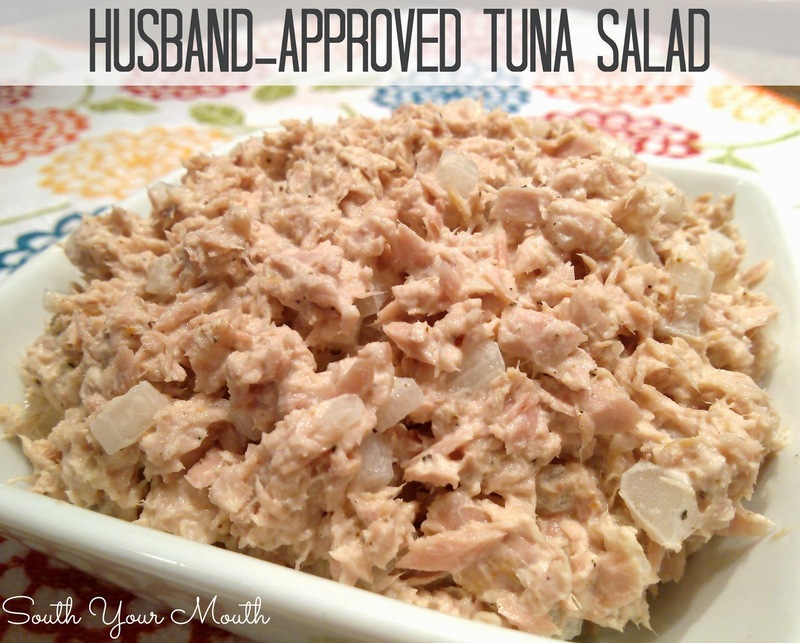 A recipe for tuna salad? Well, yes, really. For two reasons: 1) because my friends assure me that people do, indeed, actually need even the most basic recipes and 2) because this the only way Husband likes tuna salad and he feels pretty strongly about it. Husband doesn't like relish or celery in tuna salad and it must – simply MUST – have diced onion in it or his whole week is RUINED. Ruined, I say! I like this simple version because I think it makes wicked good tuna melts! I just plop some on a hamburger bun, throw a piece of cheese on it and place it (and the top of the bun, split-side up) under the broiler until the cheese is melted and the top bun is toasted. Combine all ingredients and stir until thoroughly combined. Refrigerate until ready to serve. *if you don’t have Old Bay, use 1/3 teaspoon of salt and a pinch of celery seed if you have it. As someone that has only recently taken any interest in cooking, I totally agree that some people (like myself) need the most basic of recipes. One of the reasons I enjoy your blog is because I feel like there is a good mix of easy stuff and tougher stuff. Keep up the good work! Husband might like pickled jalapenos in it if he likes hot stuff. I think my husband would put our special Dr. Datil hot sauce on ice cream. Love your sense of humor!!!! My husband must come from the same neck of the woods. I made one w/everything for the rest of us and one for my husband w/just onions & mayo. This was only sandwich he would use mayo for, everything else was Miracle Whip. Just made this and used a little creole and seasoned salt since I didn't have any old bay. Turned out pretty good. :) thanks for the quick and simple recipe. Try Old Bay BLACKENED seasoning. Even better! I also do not like relish or celery in my TS. Just mayo, onions, a little seasoned salt. Period! End of Story! I have spoken!